The country’s education system – from pre-school upwards – is to undergo extensive changes over the next 12 months, says the new Education Minister, Bandula Gunawardene. One of the first steps would be a proposal from Minister Gunawardene for the appointment of a parliamentary select committee to formulate a National Education Policy. The committee will comprise representatives from the ruling United People’s Freedom Alliance (UPFA) and all opposition parties. Contributions from educationists, academics, trade unions, former students and parents would be considered in formulating the policy. 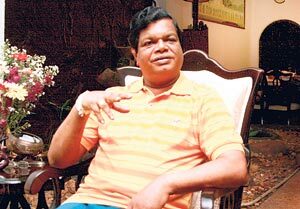 Bandula Gunawardene to stamp out Grade 1 malpractices. An educationist himself, with more than 20 years of teaching experience, Minister Gunawardena says the pending Education Act will be re-drafted to reflect the views contained in the new education policy, which will be presented to Parliament within a year. The education policy will address long-standing education issues and problems. Chief among them are the elimination of malpractice over Grade 1 admissions; a revised categorising of schools; the fair distribution of educational resources; the training of English medium teachers for state schools; the development of English and information technology instruction; a revamping of the school syllabus, and a revision of examination and exam assessment procedures. The Ministry of Education will take a hard look at the way question papers are drawn up; address principal-teacher salary anomalies, and introduce vocational studies to schools. Also high on the agenda is the monitoring of international schools, pre-schools and tuition classes in respect of quality. Pirivena (Buddhist) education, other religious education and education for the disabled will be reviewed. Pre-schooling is a major concern. A large number of organisations conduct pre-schools, especially in the rural areas, but not all these maintain proper standards. According to the minister, some pre-schools have no qualified teachers and no teaching materials. Meanwhile, the Grade 1 admissions system is so riddled with corruption and malpractice islandwide as to have assumed the proportions of “organised crime”, according to the Minister. With a new school categorising system, corruption could be greatly reduced, he said. According to a recent study, 18 per cent of Grade 6 students cannot write a decent essay in their mother tongue, be it Sinhala or Tamil, and only 1 per cent of Grade 6 students can write an error-free essay in their own language. Minister Gunawardena said it was quite clear that the country’s pre-school and primary education demanded closer scrutiny. This would be a priority for the Education Ministry, he said. Referring to school syllabuses, the Minister said these were “not at all student friendly”, and that children were being compelled to put an excessive effort into their studies. Referring to the high failure rate at the recent GCE Ordinary Levels, the Minister attributed the problem to the present education system, which has not been restructured in years. Meanwhile, teachers in rural areas face problems with transport and accommodation. The minister wants to see a sharp drop in the number of school dropouts among estate families. Education in the North and the East, where schooling has been disrupted for close on three decades by the war, will present other challenges, the Minister said. “We will have to have a well organised system in those areas, where children haven’t touched a textbook in years,” he said.